A redacted version of special counsel Robert Mueller's report on the Russia investigation will be sent to Congress by mid-April and will not be shared with the White House beforehand, Attorney General William Barr said. Barr's timeline, included in a letter to the chairmen of the House and Senate judiciary committees, sets up a possible showdown with House Democrats, who are insisting they see the full report next week. In his letter, Barr said Friday he shares a desire for Congress and the public to be able to read Mueller's findings, which are included in the nearly 400-page report the special counsel submitted last week. 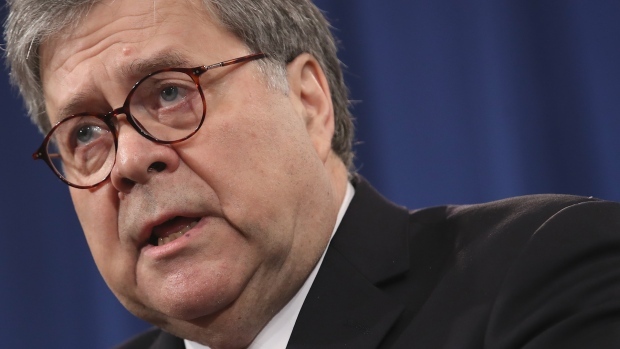 Barr said President Donald Trump would have the right to assert executive privilege over parts of the report. But he noted that Trump "has stated publicly that he intends to defer to me and, accordingly, there are no plans to submit the report to the White House for a privilege review." Mueller officially concluded his investigation when he submitted the report last Friday. Two days later, Barr sent a four-page letter to Congress that detailed Mueller's "principal conclusions." Mueller did not find that the Trump campaign coordinated or conspired with Russia, Barr wrote, and did not reach a conclusion on whether Trump obstructed justice. Barr said he and Deputy Attorney General Rod Rosenstein decided on their own that Mueller's evidence was insufficient to establish that the president committed obstruction. Barr said he is preparing to redact multiple categories of information from the report and Mueller is helping the Justice Department identify sections that will be blacked out in the public version. Those include grand jury material, information that would compromise sensitive sources and methods; information that could affect ongoing investigations, including those referred by Mueller's office to other Justice Department offices and information that could infringe on the personal privacy and reputation of "peripheral third parties." "Our progress is such that I anticipate we will be in a position to release the report by mid-April, if not sooner," Barr wrote. Barr said last week's letter detailing Mueller's "principal conclusions" was not intended to be an "exhaustive recounting" of the special counsel's investigation. Barr described Mueller's report as nearly 400 pages long, not including the tables and supporting materials, which he said sets forth Mueller's analysis, findings and the reasons for his conclusions. "Everyone will soon be able to read it on their own," Barr wrote. "I do not believe it would be in the public's interest for me to attempt to summarize the full report or to release it in serial or piecemeal fashion." 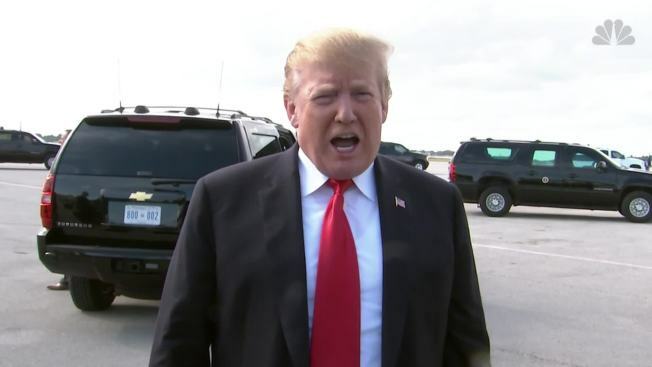 Asked about Barr's commitment to release a redacted version of Mueller's report, Trump said he has "a lot of confidence" in Barr "and if that's what he'd like to do, I have nothing to hide." He spoke at Mar-a-Lago, his private estate in Florida. Barr's letter drew a quick — and critical — response from Rep. Jerrold Nadler, the chairman of the House Judiciary Committee, who had demanded the full Mueller report by April 2. Nadler, D-N.Y., said that deadline still stands and called on Barr to join him in working to get a court order allowing the release of grand jury information to the committee, rather than spending "valuable time and resources" keeping portions of the report from Congress. "There is ample precedent for the Department of Justice sharing all of the information that the Attorney General proposes to redact to the appropriate congressional committees," Nadler said in a statement. "Again, Congress must see the full report." The Republican chairman of the Senate Judiciary Committee, Sen. Lindsey Graham of South Carolina, said he appreciated Barr's update and looked forward to the attorney general appearing before his panel on May 1. Members of Congress will be in recess for two weeks beginning April 12, which could mean that lawmakers will be out of town when the report is delivered.